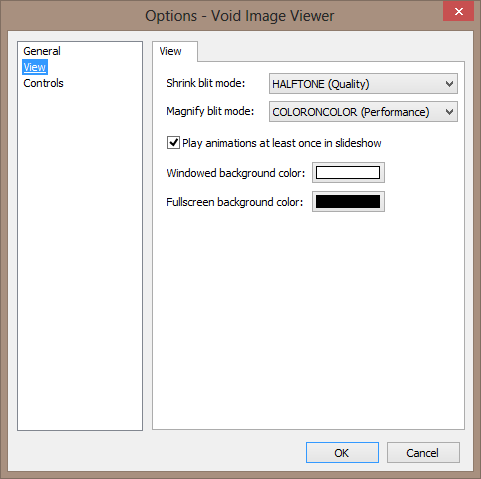 There is an overabundance of free image viewers, most of them are portable and have their virtues yet I haven't found a viewer as elegant and polished as the now commercial FastStone MaxView. I use the penultimate free version 2.1 from 2007-05-24 which I find absolutely exquisite with its auto-hiding bars and info menu, the roll-up button in the title bar, features which were removed in more recent versions of the program, perhaps because they were too advanced for the average user. If these features were kept I would have purchased FastStone MaxView as I did buy FastStone Capture. The version of FastStone MaxView I use is very old- I have to run it in compatibility mode, it doesn't support Unicode, it cannot browse the contents of archives (features available in the newer versions) so no matter how visually pleasing it may be it is far from perfect. So I am still searching for possible replacements. 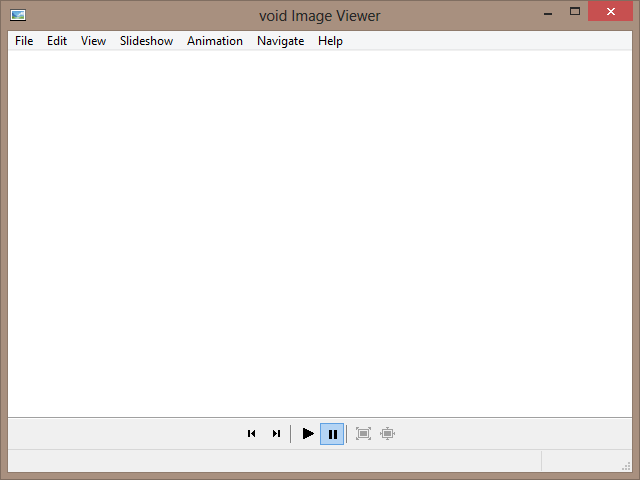 Recently I found a promising open-source, portable, tiny, light, minimalistic viewer which has the potential to become a worthy alternative to FastStone MaxView if the developer implements several simple features- this is void Image Viewer. 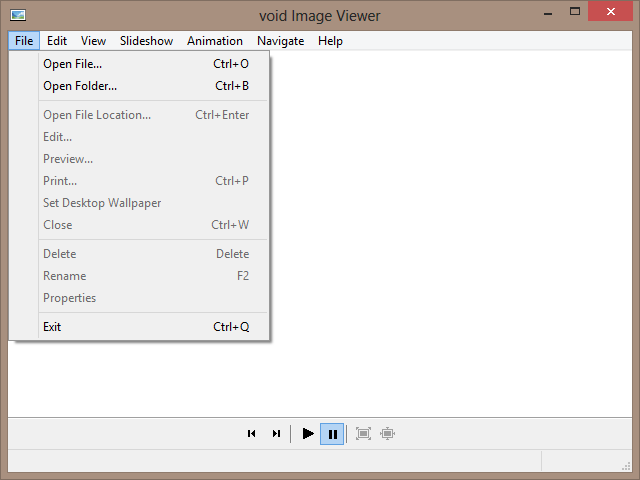 A lightweight image viewer for Windows with GIF support. Opens and displays BMP, GIF, ICO, BMP, JPG and TIF images as fast as possible. 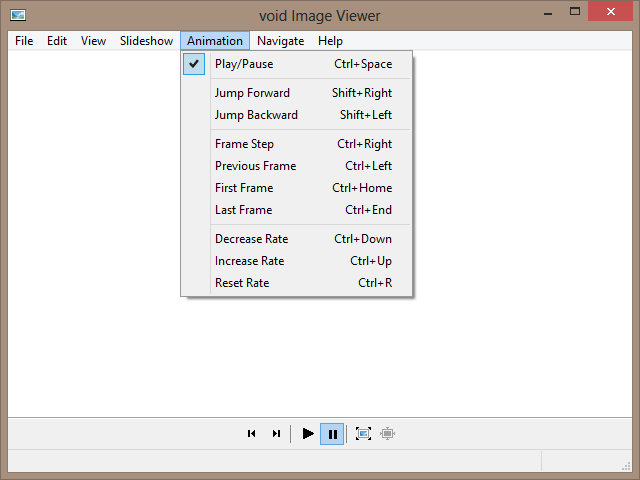 Animate GIF files as accurately as possible. 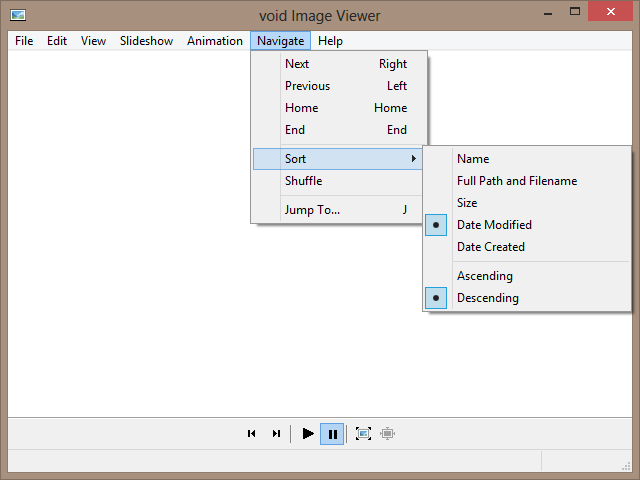 void Image Viewer is portable by design, settings are saved in INI file (voidImageViewer.ini) inside program folder. 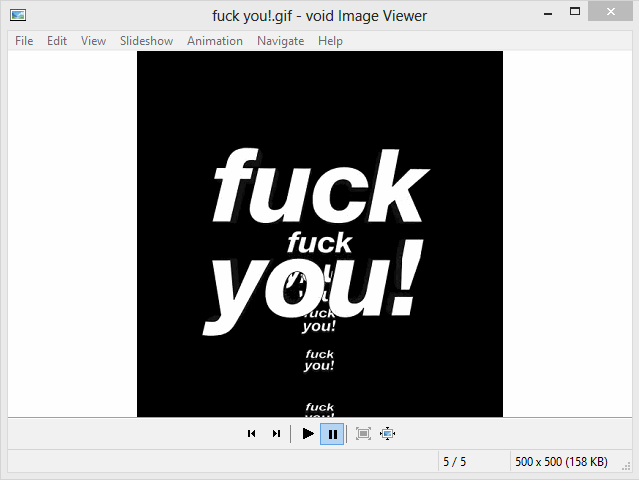 I presume that void Image Viewer should run on any Windows version from 2000 to 10.
void Image Viewer is released under GNU General Public License v2.0. 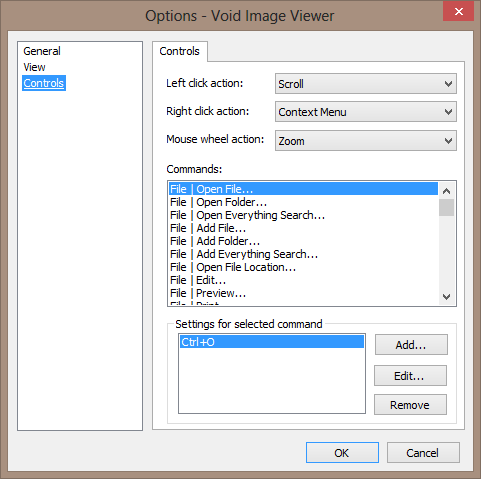 void Image Viewer is tiny, the x32 version is 71 KB, the x64 version is 81 KB. 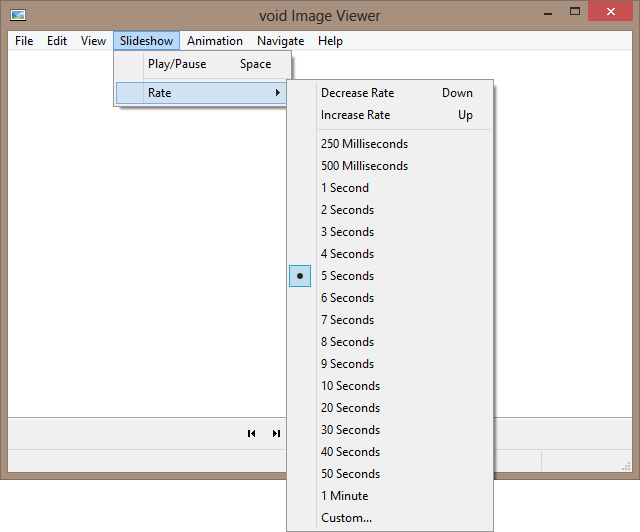 void Image Viewer is light, the x64 version uses 7-9 MB of RAM. 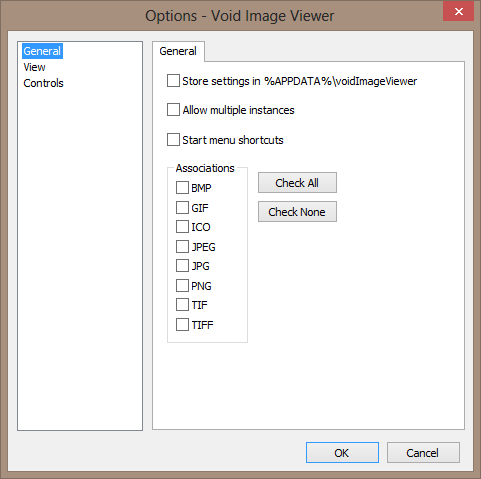 void Image Viewer lacks several essential features which currently prevent me from using it on a regular basis- support for APNG (Animated Portable Network Graphics) file format, rotation according to Exif, favourite folders. 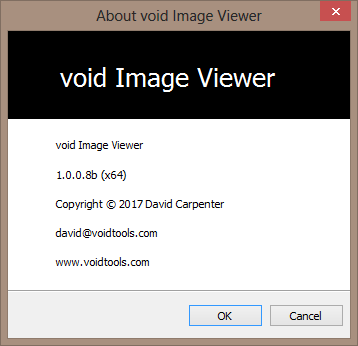 void Image Viewer was created by the developer of the renowned search program Everything (database entry, forum thread) - David Carpenter. 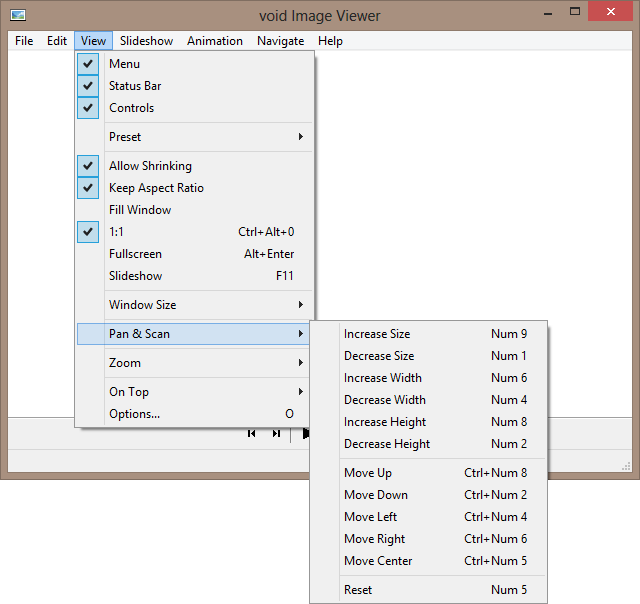 I like void Image Viewer very much- it is tiny, light, customizable and sports a neat and tidy GUI, when it reaches first stable version and several important features are implemented I will add it to the database. That's an absolutely outstanding program submission. Are you using any kind of BBcode program to get the text to looking as clear and sharp as above? I hope the dev adds the features you mention. Thanks for the post.